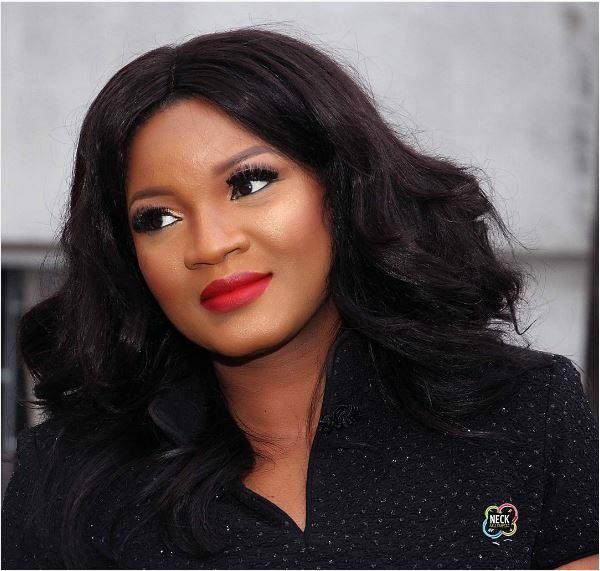 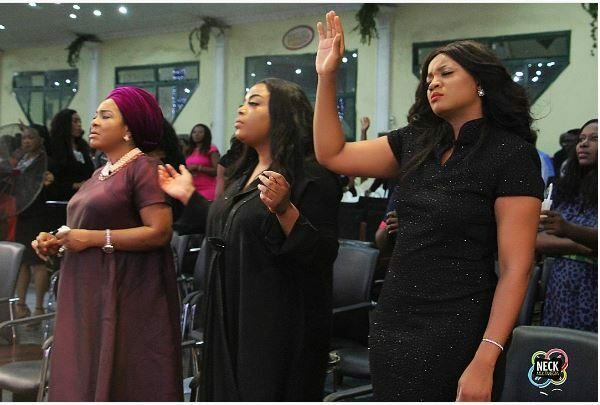 Over the weekend Nollywood superstar Omotola Jalade-Ekeinde attended the Victorious Army Ministries Women Conference in Lagos where she was a guest speaker for the event. 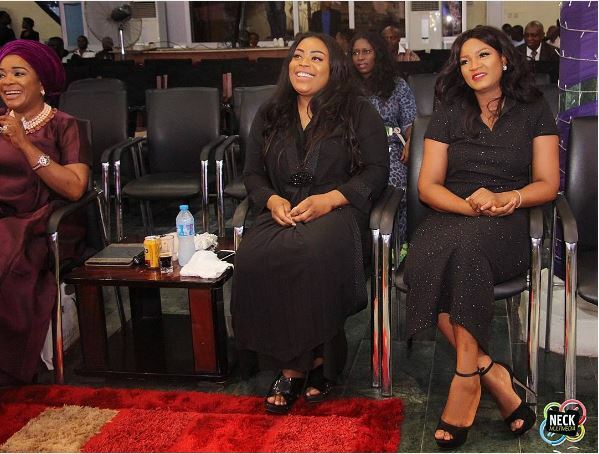 Styled by Moses Ebite of MoAshy Styling with makeup by Bimpe Onakoya, Omotola Jalade-Ekeinde was styled in a black floor-length dress from Nigerian womenswear brand Erica Moore. 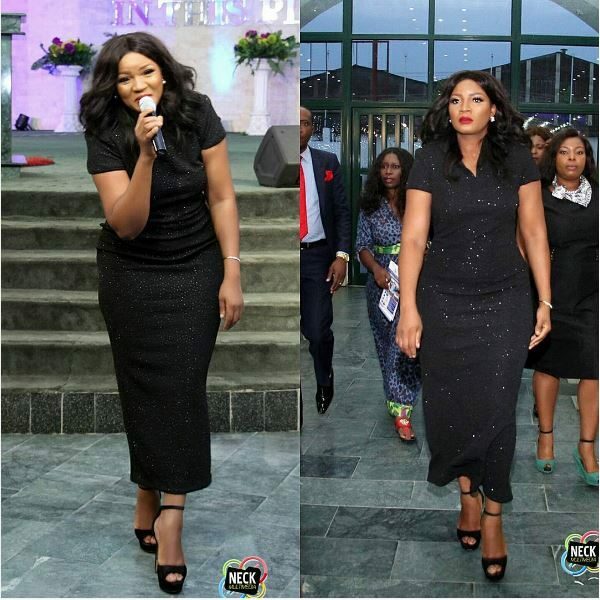 The black “kimono” dress features a high neck and she accessorized the dress with black block heels. 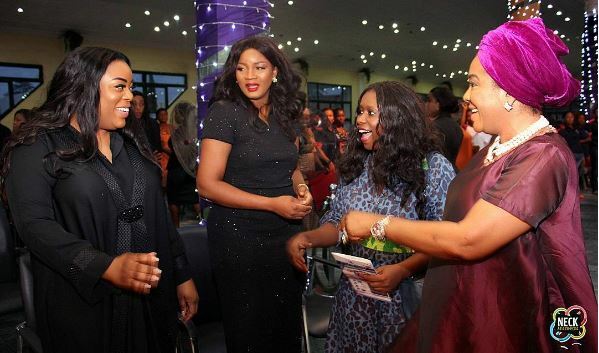 Other speakers were Ibukun Awosika (Chairman First Bank) and Mo Abudu (Ebony Life TV), Mary Akpobome (Ali Baba’s wife) and a host of other successful women.